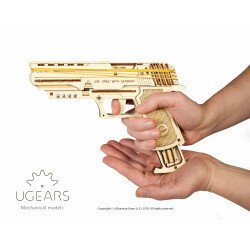 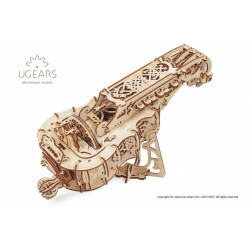 Ugears gives you the opportunity to make a journey to the past - romantically medieval - and invites you to become a siegecraft expert with its new exciting model – Archballista and Tower inspired by the best examples of ancient artillery, legendary battles of the past re-enacted in films, books, and games, this model provides a new spin on the classic war machine to test you great conqueror’s skill. 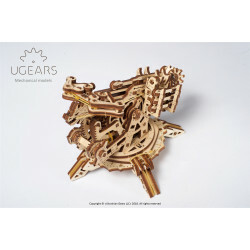 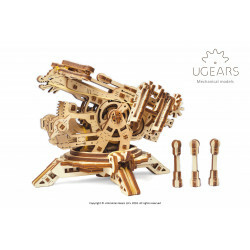 Ugears Ballista and Tower guarantees the most delightful medieval experience to brave conquerors that would dare to accept the challenge of assembling the traditionally mechanical puzzle. 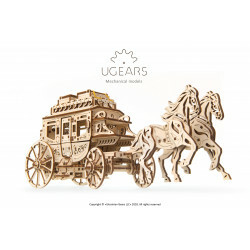 This model will bring you fun and good times, so we do encourage you to take your buddys or family on this journey. 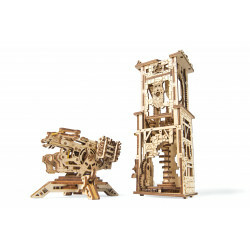 The Archballista model has 2 modules: the base and the firing unit. 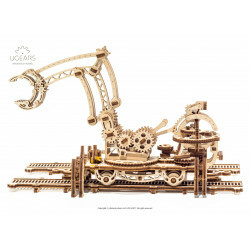 The base has adjustable legs stabilising the machine during firing. The firing unit(Ballista) – shoots up to 3 wooden bolts per round. 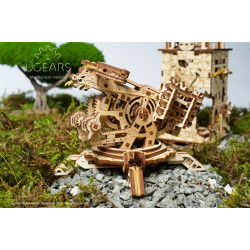 The Ballista can be detached from its base and mounted on the top of the Tower. 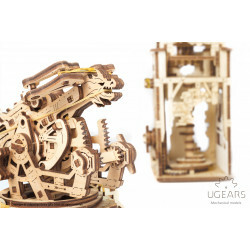 The designers of the Tower gave the walls a partly ruined look – with missing bricks - to ensure that you can observe and enjoy the work of the gears, inner frame and the complete clever mechanism. 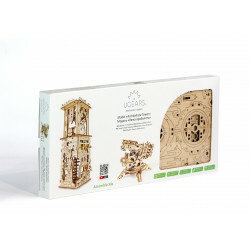 This model is decorated with delicate ornaments a classic ivy-cloaked castle tower with a heraldic gryphon/dragon on a coat of arms hides a few interesting constructional features.